For opening hours information, please contact Centre Commercial Domaine directly. Centre Commercial Domaine offer more than 33 brand name stores. Centre Commercial Domaine is located in Montreal, Quebec - 3365 avenue de Granby, Montréal, QC H1N 2Z7 (GPS: 45.581116, -73.543391). 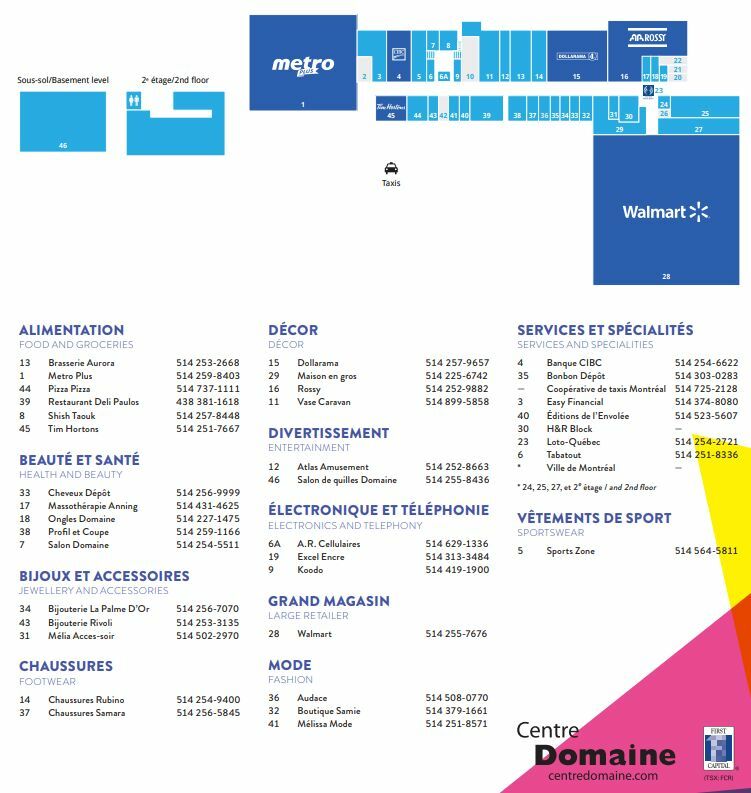 Look at the list of stores in Centre Commercial Domaine, hours, location and information about mall and special events, sales, coupons. You can choose store from list below and get detail information - other stores locations for the brand, location, shopping hours, phone, map, directions contact. Centre Commercial Domaine is one of the best shopping place for spend your free time - mall/shopping center has all types of stores - outlets, department, fashion, traditional and more. Have you ever visited Centre Commercial Domaine? Do not forget to write shopping review and rate your satisfaction. Direction from Autoroute 25: take Exit 5, join Rue Sherbrooke Est and continue in direction to to the centre of the city. Centre Commercial Domaine is located on your left side after few moments. You can get onto Autoroute 25 from Autoroute 40 (Exit 80) or from Autoroute 20 (Exit 132). To get direction click on the button above the map. Give us your experience with Centre Commercial Domaine by writing a short review.